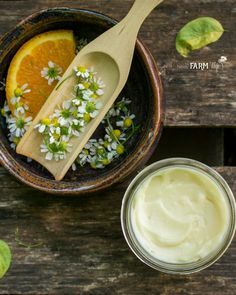 Sweet Orange and Frankincense Homemade Natural Deodorant Recipe – Learn how to make this non-toxic homemade natural deodorant recipe that features sweet orange and frankincense essential oils, along with herbal infused coconut oil for skin-extra soothing properties. via @ – 1 freebie(s)? Greek Inspired Pie for Pi Day – 1 freebie(s)? How to Make Dulce De Leche in the Instant Pot – 1 freebie(s)? Easy Apple Roses – 1 freebie(s)? Homemade Salsa From Scratch – 1 freebie(s)? Key Lime Meringue Pie or Tartlets – 1 freebie(s)? Sous Vide Apple Pie – 1 freebie(s)? A Banana Cream Pie – 1 freebie(s)? Scary Pie Face – Delicious Cinnamon-Pear Pie – 1 freebie(s)? Banana Cream Pi With Butter Crust – 1 freebie(s)? Peanut Butter Chocolate Silk Pie – 1 freebie(s)? Arkansas Mudpies – 1 freebie(s)? Strawberry Chocolate Cheesecake – 1 freebie(s)? Sugar Cookies – 1 freebie(s)? How to Make a Mini Strawberry Cheesecake – 1 freebie(s)? Italian Ricotta Pie – 1 freebie(s)? Baking Clipart Free Download for Exclusive Members – 1 freebie(s)?